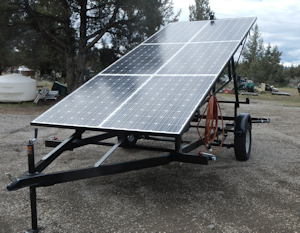 Abney Solar Electrix has been in the off-the-grid systems industry for over 25 years. 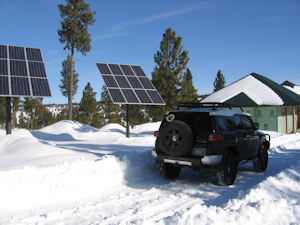 Projects completed range from recreational vehicles or boats, to solar and wind powered homes and cabins and telecommunications sites for the Oregon State Police, ODOT, Pine Telephone, Community Broadband. Every job is unique in its needs and specific to its challenges. Dean Abney, founder of Abney Solar Electrix, is versatile in seeing the needs and challenges while keeping with the owner’s requests. He designs and sizes every system to fit the individual’s needs. The quality products he uses include brand names such as Schneider Electric, TRACE, Heart, Xantrex, Midnite Solar, Outback, Magnum, Kohler, ONAN, Wrico. He is factory and field trained to do the job right the first time. Abney Solar Electrix is also service oriented, for those with systems that need servicing or repairs. We carry a full line of both new and refurbished inverters, solar systems and even batteries. Abney Solar Electrix has been enthusiastically dedicated to the renewable energy systems industry since its infancy, following the industry and taking on new technology and filling existing power needs. In addition, Abney Electrix is committed to maintaining a level of professionalism not commonly found in the industry. Every job is guaranteed to work within design specifications and customer and site limitations. As part of Dean’s passion and dedication to the renewable energy industry, Dean has been a general member of OSEIA (Oregon Solar Energy Industries Association) since 2004 and a board member from 2006 to 2010. Dean has been a featured speaker at the OSEIA Solar Expositions, bringing his expertise in off-grid solar design and equipment sizing to the attendees. 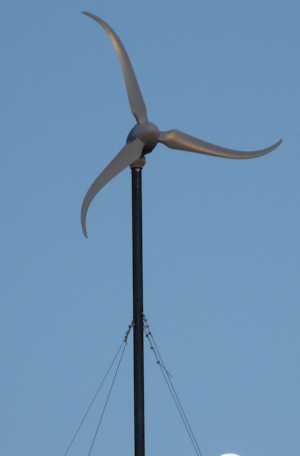 You are encouraged to visit OSEIA’s website at www.oseia.org for news and information in renewable energy. Dean also teaches Battery Based Power Systems at Solar Expo and Sol-West every year. In short, few have more experience or technical know-how than Abney Solar Electrix. For all your power needs, whether a ranch, home or a remote cabin, your power needs can be covered with Abney Solar Electrix, your energy controls and management system specialist.